One of the wisest women we know here in the Rain, our own Barbara Todaro, has been reminding us recently about this very topic - adaptability. Our business is a fluid one and predictability is something that, if we follow our local data, we become adept with the sense of where our markets are heading. Some things are right in front of us; others require a deeper analysis. However, knowing what to do with the data we collect and our sense of our own business is also essential in planning and goal-setting. The real key to success? Adaptability. Change is not always welcomed but, when we are at the helm, in control of our own business and the changes within, change is much more palatable...or it should be! When you're feeling that discomfort we feel when change is on the horizon, remember Darwin's quote. Adapt and embrace the 'new,' for that will open up a whole new world of possibilities for you. I've heard it said that the strongest tree doesn't necessarily withstand the storm, but the tree with limbs that are bendable and can adapt to the elements of the storm is the tree that has the best chance of making it through the storm. Thank you for your beautiful encouraging post! Great motivation for a Monday. Changes is coming whether we want it or not. If we don't adapt we will get left behind. In real estate this is proven all the time. Oh, thank you for that reminder, Maria Sapio - I hadn't heard that in years. I'm glad you enjoyed the motivation! Happy Monday! Change is inevitable in our business but, embracing it and 'going with the flow' are two different things! I sense big change ahead and am working feverishly to adapt to my market, Mike Baltierra. That is a great message Debe Maxwell, CRS and oh so true. It is something i was taught on day 1. I love the graphics. Thank you for the inspiration, Barbara! The old mantra is ever-so true in our business, "Survival of the fittest." Change is a constant in our business and learning to embrace that change, regardless of our age or tenure in the buisness, is a MUST! Good morning, Debe - change is inevitable so it makes sense(to me) that adaptability be a part of the picture. Thank you, Scott Godzyk! I wish I had been taught that - I was taught to pick a neighborhood and OWN it! Change was not welcomed in my mind, until I HAD to! LOL Now, it's a part of life - keeps us from being bored, right?! Yes it certainly is, Michael Jacobs! I remember going with change, kicking & screaming in years past - now, it's just a fact of life! I love the Lutus quote too, Doug Dawes - embracing change is something that is a must in our business - especially since it rules our every business plan! Debe, thanks for selecting those quotes on adaptability - an important skill in a fast changing environment. If you don't bend with the market...get the best technology ...you will find your twigs snapped and on to the fireplace ! Good morning Debe - congratulations on an outstanding feature post. You put real change in perspective by using the adaptability model. And it is not about copying someone else as pointed out in the quote by Ghandi. Getting in front of change means staying current and then placing yourself into the future. And by the way there are many intellegent people who are failing as noted by Darwin. Some people can and some can't. I've seen many older people adapt and excel with all the new technology during the past decade. I've seen others refuse to get computers or cell phones. There's a curiosity factor to adaptability - such as, why not give it a try? Excellent! Excellent motivation, food for thoughts. Love it. Adapt and move on could be more true. You know what they say, adapt or die. Not literally but in business. I love all your quotes but the one that resonates with me because it has been my life for years is Jessica's. If I hadn't and still true is adaptability has and is the key to my survival. Sharon Lee you are the definition of adaptation! I am in awe of your lifestyle! Corinne Guest, You are so right! Stay the same and you can say bye-bye to your business. Many did during the recession. Thank you, Richard! So good to see you here today! Adapt or move on is so true in our business. Another great blog post! Following the data is one thing, knowing how to interpret it to your local market is quite another, isn't it? With our fast changing environment, why would anyone not want to adapt and even be a trend setter? Debe Maxwell, CRS - What a terrific blog post and a fine tribute to Barbara Todaro too! Congratulations on this well-deserved feature! Being prepared for market changes and adaptability is what makes successful people more successful. Those are nice quotes too! What a great post and congrats on the feature! What a great way to start our week/Monday! We must adapt or you will get left behind! Thanks for sharing. Hello Debe, Love the quotes and also love you mentioning Barbara Todaro, my marketing guru that I learn from every day. Hi Debe Maxwell, CRS, whether be in business or otherwise, change is inevitable. It is up to each one of us to either adapt or accept what comes with not being able to adapt. Great post and a well-deserved feature! Good Afternoon Debe Maxwell, CRS - Congratulations! Your post is being featured in the BananaTude Group! Hey there, Sheila Anderson! That one really resonates with me too - it's so true also! You're so welcome, Steffy Hristova! It really is about to be really fast-changing too! SO true, Sally K. & David L. Hanson! Great analogy! Your comment reminds me of the quote that I pondered using before coming up with this one - "If you're not the lead dog, the view never changes!" It's a cute quote but, spot-on! It is NOT about copying someone and I always joke that I keep my best-kept secrets close to the heart - there are SO many people who don't think for themselves these days, Grant Schneider! I'm with you, Margaret Goss - it's a curiosity thing for me too - I WANT to know about the new technology, especiall with all of the millenials that I serve! Thank you so much, Carol Williams! You know, we make it sound effortless but, there is a certain skill involved and not all agents have that skill. Funny but, I have a local agent that always calls me to help her with comparables. I never say no to her because I SO want to see her succeed. However, I do wonder if we need to step up our training because I am confident she's not the only one that struggles with this. I do love the quotes too, Patricia Feager, MBA, CRS, GRI,MRP! They surely do serve to motivate me. And, thank you for your kind words. Happy Monday! You're so sweet, Graziella Bruner! I hope it served to motivate others too - I know it makes me stop and think about where our market is heading and how to position myself ahead of it. In my mind, it's key to succeeding in any market! Debe the world will pass us by if we to not to the ever changing conditions. She's amazing, isn't she, Will Hamm?! We are so blessed to have her here to share her wealth of marketing knowledge. Thank you and yes, I completely agree, Beth Atalay! Change is certainly inevitable and getting ahead of it makes adaptation a lot easier! 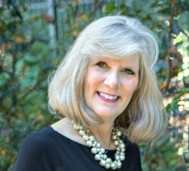 Oh, thank you so much, Patricia Feager, MBA, CRS, GRI,MRP! What an honor to be featured in my favorite group! Hi Debe- Those who survived and thrived after 2008 are nodding their heads. If and when changes come those who are willing to adapt and change what they can will thrive. Just to add, adaptability is definitely one of the top two most important things in a business mentality. So Debe, sounds like you're feeling the changing in the winds. Something like Dylan said for times they are a changing. A shift in the tide could be the Feds raising the interest rates again and again. A wise man once said (Tim Harris), actually it was three weeks ago at a conference in Honolulu. That all indications are that 2019 will be a different market. We will need more listings to make what we did in 2018. That is where Barbara Todaro very wise and buffed Realtor comes to play, be consistent, farm, reach your base, do 100 sit ups, JUST DO IT. Thanks for an outstanding post, and a well-deserved feature. I liked Okakura's quote in particular! Congratulations on your feature recognition. I am one of those who has not maintained pace with the changes. SO true, Kathy! Adapt or be left behind. If you're lucky, you can pick back up where you left off but, it's not easy! I'd rather stay ahead of it or at the very least, go with the flow. Ain't that the truth! And in this business especially so. It looks like this is another year to adapt. Sometimes the uncertainty is overwhelming in knowing which road will take you to the happiest destination. I guess that is part of the journey of life, though! Decisions, decisions, decisions. Debe Maxwell, CRS love it! One of my favorite words in SHIFT! While taking life/success leadership training years and years ago that was one thing the put a lot of emphasis on - knowing how and when to shift on a dime. Both Gary and I are very good at this and it's been of tremendous help to us over the years. Yes, Debe Maxwell, CRS , training does need to be stepped up. I've received many calls from agents across the country looking for guidance. These are agents who work at national franchises that tout their training programs. A wonderful post and well deserved feature. If you can’t adapt and change in Real Estate you might as well hang it up. Our industry is constantly changing and evolving. Wishing you continued phenomenal success in 2019. Darwin may have said it best but all the other quotes are excellent and drive home the point. Adapt or die. Thanks, Debe!! I'm seeing so many markets change and realtors must adapt. We're slowing but not like other parts of the country. To survive, we have to adapt! Great post and mention of Barbara. Definitely a good time to read a book, Endre Barath, Jr.! I typically change browsers before I head to the book though...or re-boot. I agree, Dörte Engel but, I will say that if it's not, it will be 2020 and I will be thankful for another year to adapt! That is so true, Anne Corbin - without change, life would be ever-so boring too! I totally agree, Anna Banana Kruchten CRB, CRS 602-380-4886! I think any of us who thrived during the recession are adept at change. However, I will say, I'm not looking forward to another one that deep though! Well, thank you, Margaret Rome, Baltimore Maryland! I agree, our previous careers were better preparation than any MBA program or line of work. Teaching is another one that prepares us for the resilience and adaptation that is required in our business. Carol Williams, When doing deals with new agents on the other side, it's those from that same brokerage that I have to help more than any of the brokerages - even the small boutiques. It's really sad, isn't it? And, thank you! Here's to a fabulous 2019 for you as well, Joyce! Yep, simple and to the point, John Henry - you're so right! Thank you, Jan Green! I'm seeing the same thing and am thankful we're not seeing the change to the depth that others are at this time. We WILL adapt and we WILL survive once again, Jan! I totally agree, Laura Cerrano! It's what we do best! Hi Steven Nickens! Yes, I do feel it to a small degree but, I began noticing it in June of last year. I think if you are in-tune with your market data, you can plan ahead. And, as you said, follow Barbara's direction when it comes to keeping in touch with the communities we serve via our base, farming and open houses...and yes, 100 sit-ups each day!! I always joke that if we thrived in the recession, we can do ANYTHING, James Dray - there's a LOT of truth in that! HaHa, Roy Kelley! You are thriving in retirement - there's nothing at all to change about your wonderful life! I completely agree with this but the tropuble for many real estate agents is not knowing the difference between adaptability and accomodation.